Bootstrap Business: Considering a Real Estate Career? Check Out These Important Pros and Cons! Considering a Real Estate Career? Check Out These Important Pros and Cons! There are several markets that are growing in the U.S. while others are actually shrinking in value. If you're not on top of what's happening in real estate, you might not be ready for a real estate career. However, if you have your ear to the ground and know what's happening all around you, you could end up making a lucrative career from real estate. Here are four things you need to consider before you dive into your career head first. If you're looking for a job that offers you a lot of freedom, a real estate career is great for you. In this kind of scenario, it's an "eat what you kill situation" as the more you're able to buy or sell, the more money you'll make. Because you get to set your own schedule, you get to work as little or as much as you need to. However, if the market slows down, that means you need to be your own tyrannical boss. You'll have to force yourself to get up and out there every morning if you want to ensure you make the kind of money you have to in order to survive. There is always going to be someone else competing in just about every market you're in, so you need to be on your toes. While you might find this to be an intimidating prospect, there's more than enough real estate out there for everyone. If you set your own schedule and stick to it, you can get the work done that you need to do and take off time as needed. You also need to be flexible in case you're dealing with someone in a different time zone or you get approvals last minute at a late hour on the weekends. If you've been able to budget your time in the past, striking a balance shouldn't be too hard for you. Once you've got everything in place to set your own schedule, you'll be able to hustle for the work you need and ensure that you have time for family and friends. If you've built up a career in communicating with people and helping people out, then a real estate career is for you. If you use the skills that you've built up, you'll be able to help people find their dream homes and make a difference in people's lives. For entrepreneurs and small businesses, helping them to find the kind of commercial space that they need makes a huge difference in your community. That expertise lets you know where the best deals are, where quiet neighborhoods are, and where people should raise a family. You'll know which properties are going to be growing in price soonest and which are going to be near a flood or fire zone. Real estate agents know the landscape in every way. The only thing is that your clients are going to be putting so much of their faith into you that it could be a lot of pressure. If you're not comfortable dealing with someone's life savings, you might not like this industry. One mistake could cause financial ruin for the people you're dealing with. Some people end up contractually obligated to buy a house that they want to back out of. If you end up missing an inspection deadline or taking the wrong kinds of risks, you'll be setting people up for failure. Agents who want the best for their clients are going to end up feeling the pressure and need to be smart about their choices. If this gets your nerves going, check out this info about real estate brokers to ease some of your worries. If you're good at balancing the books and making smart investments, you could make millions with this career. One of the ways that people in real estate make a lot of money is by investing in properties that need repairs and flipping them. Flipping houses is a lucrative way to make money but flipping commercial properties is an even bigger deal. You could end up with some exciting and high stakes deals that end up yielding you big time. If you work hard acquiring and selling lots of properties, and have done your research in advance, you'll find a lot of value here waiting for you. 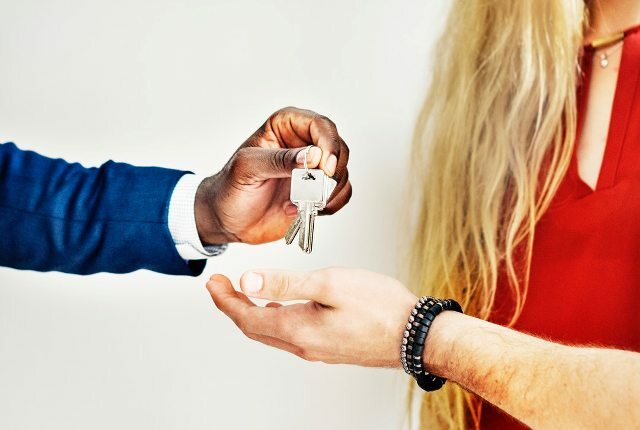 Breaking down the limitations that keep a property from hitting its highest value means that you're able to unlock dollars that sit there right in front of other people. Going into this, you need to know that you don't become a top seller on your first day of working for a real estate company. You need to pay your dues and prove that you have what it takes. Other realtors or agents you have to deal with won't take you seriously until you prove yourself. Consider taking a course if you're just getting started. While there are some common sense approaches to making money in real estate, there are a lot of ways to slip up. Avoid some pitfalls that lead to ruin for certain agents by following the lead of others. When you're working on commission, it's that "eat what you kill" element mentioned above. Everything that you get turns into real dollars for you. You could live quite well as a real estate broker, buyer, or investor. However, if the market tanks, you're going to need to put on another hat. If selling is down, consider buying when the market is low. Make a nest egg so you can go into rebuilding and repairing things to make some money later. You need to be ready for the feast and the famine. Also, make sure you leave room for fun. If you want to ensure that you make a lot of money from your real estate career, you need to know your strengths and weaknesses. Some people are better at dealing with customers while others can negotiate up really well. Find your place and you'll have an exciting career ahead of you. If you need to promote yourself once you're up and running, check out our guide for tips.